To me the only appeal of this round is shooting the heaviest pills. 77’s and down might as well stick to a .223 Wylde. 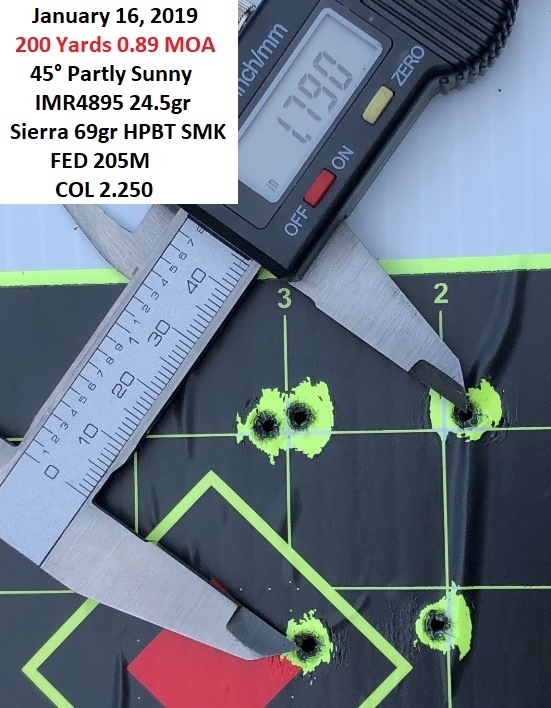 To properly stabilize and not spin the heavier bullets apart you Need a 6.5” twist for that. The UltraMatch 2 will likely get a twist change in the future from what I hear. Agreed that the barrel is chump change compared to the joy of consistently reaming the bullseye. I need this to happen. Perhaps even an RPR if they bring it. Then I swear by Odin's balls I will take up reloading! I walk out in my yard and I sink over my feet in mud. I’ve been running the same handful of FC brass through it to see how many firings it would get. From what I've heard about FC brass, that sounds about right for an autoloader. Brand new to reloading and guess why I started. Yup, built a .224 Valkyrie. Been working with a very knowledgeable old gentleman teaching me the craft. Worked up a bunch of ladder loads to go test the next non inclement weather day off I get. I’m running a Ballistic Advantage 22” rifle length 1:7 twist barrel. 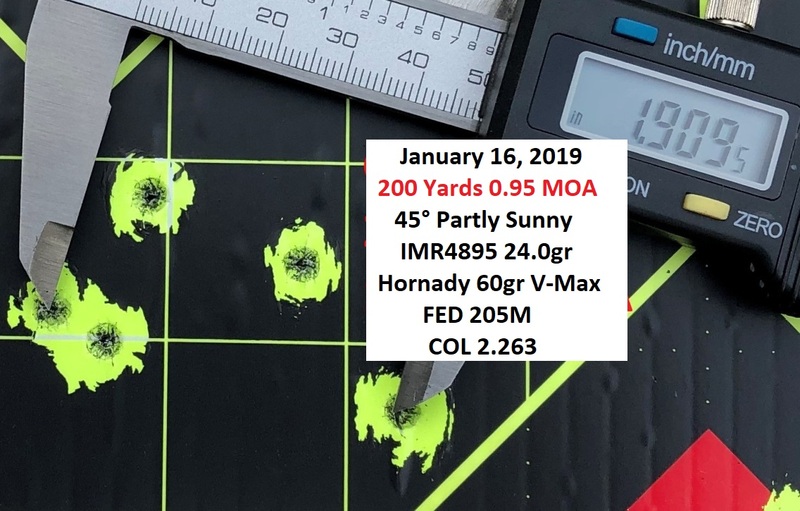 I’ve shot the Federal 90gr SMK with disappointing results and the Federal 75gr just slightly better but still not where I expected it to be. Shot a few ladders that I loaded with some 69gr SMK’s and IMR 4895. 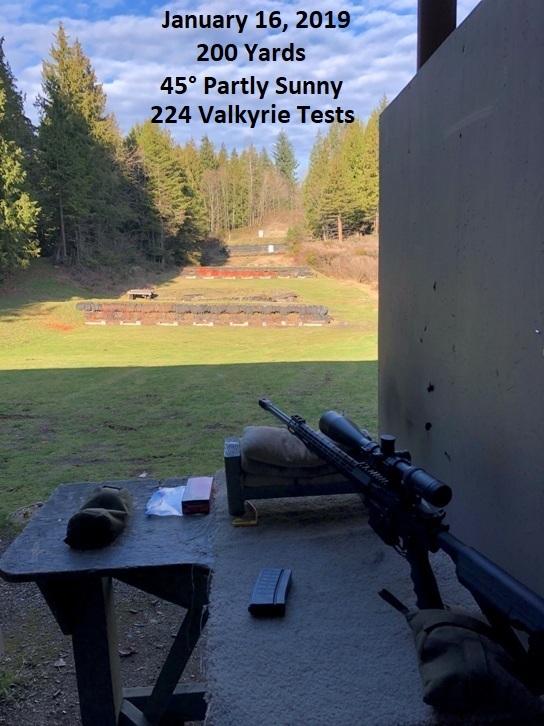 On the advice of my reloading mentor I also took the groups out to 200 yards instead of 100. The groups are coming together but not perfection yet. I’m optimistic about this but I just need to discover the right load for my barrel. If nothing else it got me into reloading so it’s been a hell of a lot of fun. 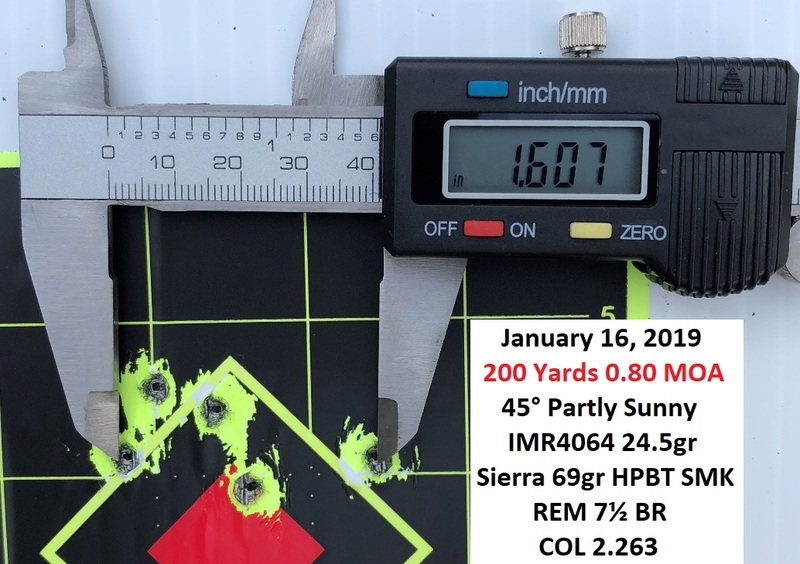 I should be able to get close to 26.0gr of RE15 in there but I’d like to try 2000-MR and Varget with 80gr ELDs next and save all my RE15 for .308 and 5.56. Nice start..have you tried a little shorter OAL in that ladder? I’d also look into some TAC. Also, Looks like good old MRC.. I’m not a member but head up there sometimes on thursdays. For me the only thing that interests me would be the heavy bullets, not much gain on 77’s and under to justify more money on brass, dies and such..
It’s always fun working up loads no mater what the caliber though.